With the film release in 1999, the Fight Club story became a cult classic and now the original novel is widely regarded as one of the deepest and most thought-provoking of all time. But how did writer, Chuck Palahniuk, come to create such a controversial and yet well-received book? Those who hadn’t read Chuck Palahniuk’s Fight Club would be forgiven for thinking that, on their viewing of the film trailer, it was a straight-up action film about a group of men who become a part of an underground fist-fighting club. But the story draws upon some important and shocking aspects of human behaviour, particularly in males, which make the plots of firework blockbusters of modern times meaningless in comparison. 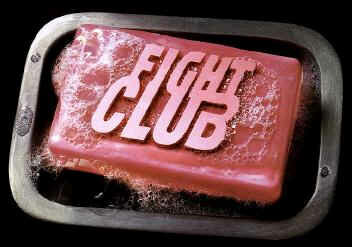 Male dominance, advertisement, commercialism, life disillusionment; these are some of the issues that Fight Club addresses, and by the end you’re left with something deep to think about, no matter if you read the book or watch the film.